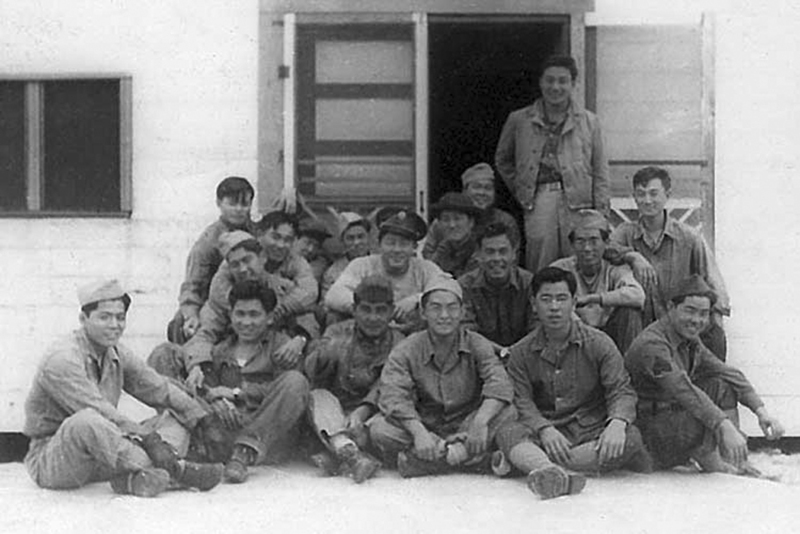 Ray Nosaka was born in 1916 to Magoichi and Tsune Nosaka, immigrants from Yamaguchi and Hiroshima, Japan. He grew up in the Palama area of Honolulu. His father was a building contractor and his mother was a dance and music teacher. After graduating from McKinley High School and attending the University of Hawaii and business school, Nosaka moved to San Francisco and attended an engineering school. 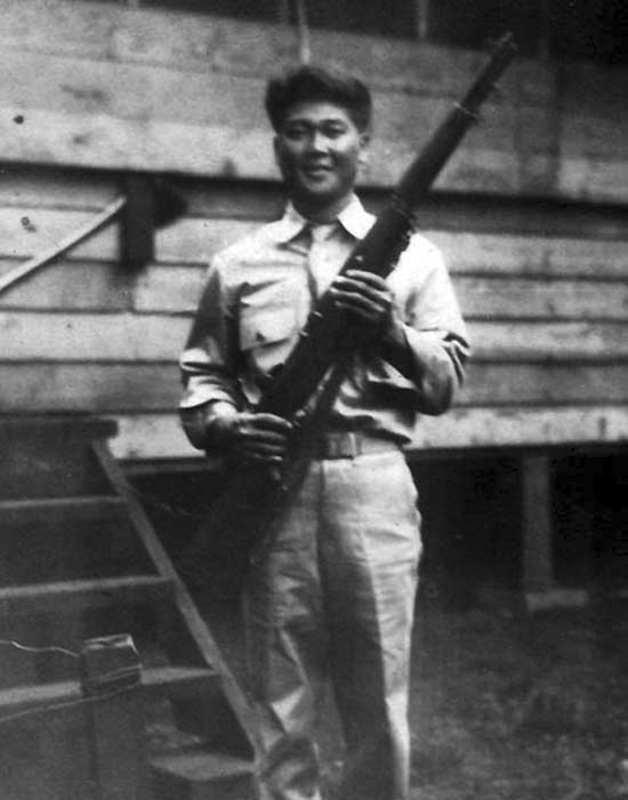 He returned to Hawaii and was inducted in December 1940, the first pre-war draft, Assigned to the 298th Regiment of the Hawaii National Guard which was stationed at Schofield Barracks on the island of Oahu, he later became one of the original members of the 100th Infantry Battalion. 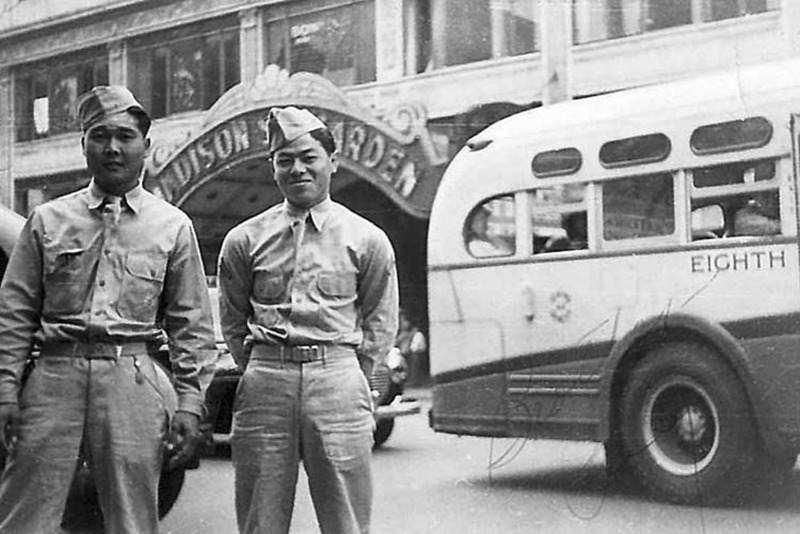 While Nosaka was at Camp McCoy, Wisconsin for basic training, he was among the group of soldiers from B Company to be selected for a secret mission. The army wanted to test a theory that dogs could be trained to attack Japanese soldiers based on a unique scent they supposedly possessed. Shipped to Cat Island, Mississippi, they were used as dog bait. 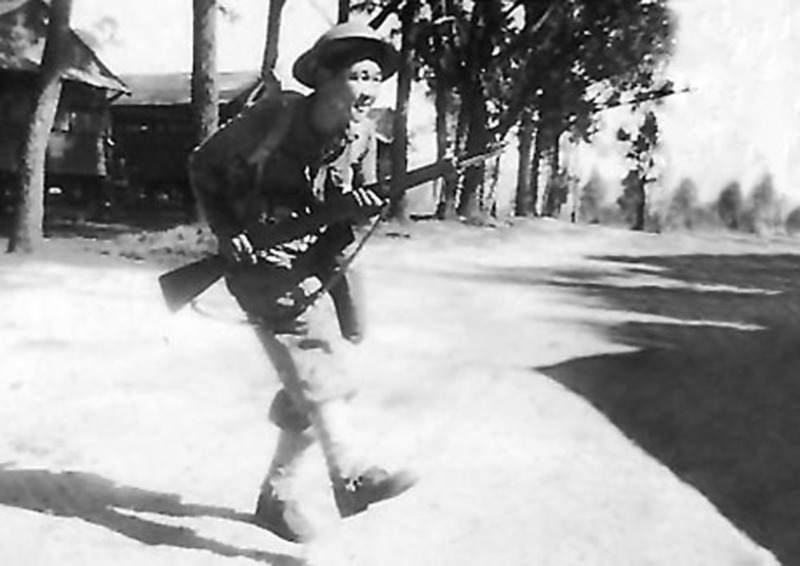 After four months, the experiment was deemed a failure and the group rejoined their comrades who had moved to Camp Shelby, Mississippi. After the war Nosaka worked as an Internal Revenue Service agent and a Veterans Administration counselor. He retired after working for the State of Hawaii as a social worker for several years. Active in Club 100, he served one term as club president. Click here for his complete life story and more photographs.